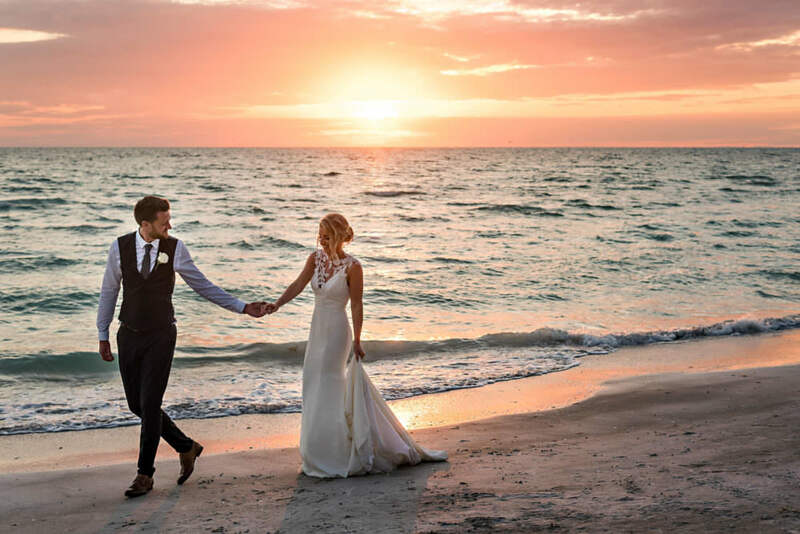 The Ritz-Carlton in Sarasota is a perfect venue for a destination wedding! It sits right on the beach, showcasing the most beautiful white sandy beaches and bright blue waters. We absolutely love that the Ritz faces the ocean, where the sun sets. We have the ability to capture the most stunning sunset colors as they fall just above the water! The Ritz-Carlton is a great facility as everything is on site, your ceremony and reception are only within a few steps of each other, which makes for a stress free day!